If there is an enclave with peaceful beaches and protected landscapes of the sea throughout the area of ​​Arousa, that is, without a doubt, Boiro. It is here where every year (and since 261), when the last day of August comes, the Romería de San Ramón de Bealo is celebrated. It is one of the most important pilgrimages of the region and it is attended by people from all corners of Galicia. It is also one of the most enigmatic, and is declared of Tourist Interest of Galicia. One of its singularities of this celebration is that women come to it to ask San Ramón for a son. It is a pilgrimage that, although dating from the eighteenth century, is linked to pagan rites that are lost in time around engravings in the form of a serpent, symbol of fertility since time immemorial, which can be seen in two stones a few meters of the hermitage of San Ramón. In addition, it is not only one of the oldest festivals in Galicia, but also the oldest country pilgrimage celebrated uninterruptedly. According to what people say, the first party was promoted by the priest of the area on August 22, 1756. That year, a mass was celebrated and other suffrages were made in devotion to the saint and the souls of purgatory. Then, a “novena” (a serie of nine masses) was made to San Ramon so that the last of the masses coincided with the last day of August, and on that last day the feast was celebrated for the first time, bringing every year a lot of faithful people to Bealo in order to honor his saint. People also say that the famous writer Castelao found inspiration in this feast to draw one of his famous “Prints of the Blind”. To this party many people go to the “Campo dos Outeiriños” to camp all the night of 30th and they stay there until the end of the 31th, after enjoying a day of lunch, session of wines and orchestras. During the morning of the 31st, the masses in the hermitage are repeated every half an hour, and women come in search of a happy birth or a pregnancy, and it is in the last one in which more women gather, which They carry the saint in procession. As an old ballad said, “As mulleres cando paren / lémbranse de San Ramón” (when women give birth, they remember San Ramón). Orchestras, a wine session and popular food complete a pilgrimage that lasts until dusk in a wonderful natural area surrounded by interesting archaeological and ethnographic remains. 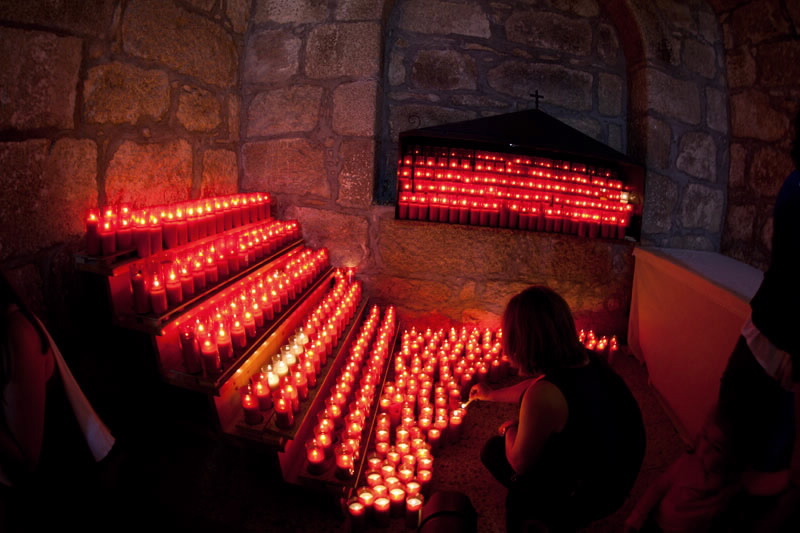 It is well known that Galicia is a land of magic, “meigas”, legends and beliefs, and it is precisely pilgrimages like this that make everyone who comes from far and wants to know our land to immerse ourselves a little more in our culture and our identity, so from here we recommend the Romería de San Ramón de Bealo. You just have to go … and let yourself go. ← Do you like surfing? Discover the Pull & Bear Pantín Classic Galicia Pro!